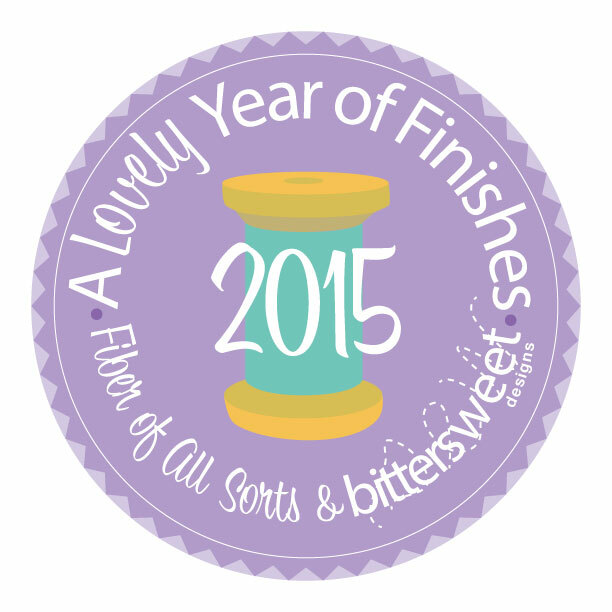 Sew........This Is My Blog: November's Goal Met! -- "Otherness"
November's Goal Met! -- "Otherness"
I have to say this was a fun goal to work on, and I'm glad I finished it. It was outside my comfort zone, but something I want to do more of. 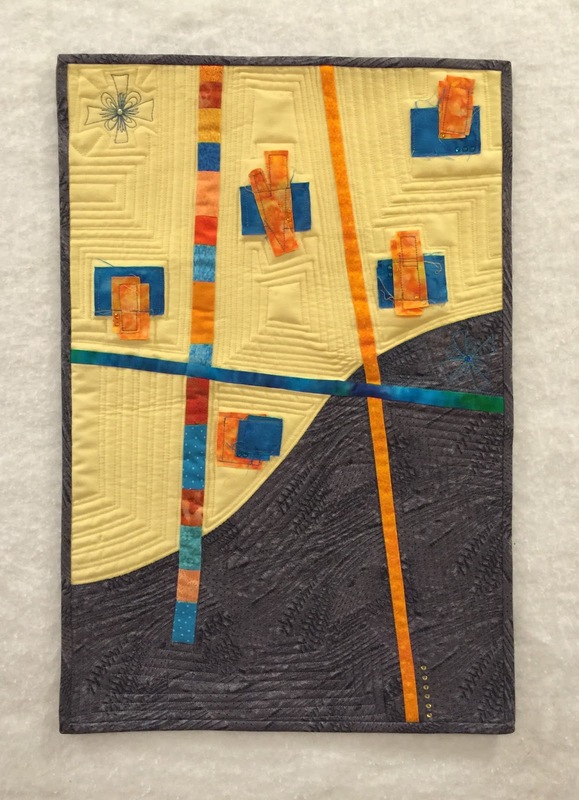 The little art quilt I started for my sister last April has been pinned and basted for a long time. I had tried to do a little free motion quilting on it and hated it so much I ripped it all out and threw it into a pile of "stuff!" Starting over, I decided to take it one section at a time and see what happens. Straight-line quilting gets a little boring, but it sure looks good! That was fun! It's a good thing I'm not a sweatshirt gal or I might have been up all night BeJewelling away. I did "just enough" to give it a little pizzazz. I call it "Otherness" which is a word I came across in a novel and loved. It perfectly fits my sister. I can't wait to see this hanging in her home. 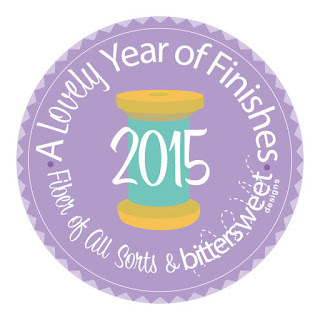 I am linking up with the ALYoF November Finishes Party at Fiber of All Sorts. My original goal was #66 and my finish is #41. Very unique and perfectly named! Love the few jewels! Your quilting looks perfect! Congratulations on a November finish! Just the right amount of bejeweling. I love straight line quilting and can't wait for the day when I can play around with it. Great finish. I am sure your sister is going to love this one. Sandy, I love it! Inspiration in a blog post!! !